From Triple-A baseball and AHL hockey to football, soccer and cycling, professional sports have found a home in Lehigh Valley. Bringing home the bacon since their debut in 2008, the Lehigh Valley IronPigs, Triple-A affiliate of the Philadelphia Phillies, have remained the leader in per game attendance for minor league baseball. They are the only franchise to eclipse 600,000 fans annually, which guarantees a great atmosphere to take in a game. But the action isn&apos;t just on the field, and it&apos;s not just by the future talent of Major League Baseball. IronPigs&apos; mascots FeRROUS and FeFe are fan favorites on and off the field. The Pork Race of Chris P. Bacon, Barbie Q., Diggity, and Hambone is just another part of the onfield charm. The pork theme isn&apos;t just in the name of the team and part of the intragame race. 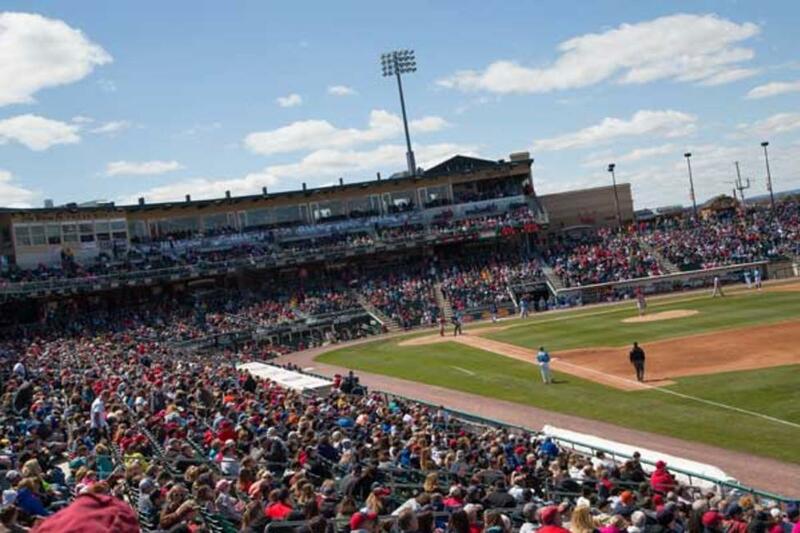 Coca-Cola Park, the 10,100 capacity home of the IronPigs in Allentown, is home to some wonderful food options and everything can have bacon added to it. If you&apos;re a fan of bacon, this is the mecca you&apos;re looking for. Not only is there plenty of bacon options to eat, you can get all of your bacon clothing needs, including a popular bacon hat and a bacon scented t-shirt! From the field to the ice, the PPL Center is the Allentown home of the Lehigh Valley Phantoms. This AHL affiliate of the Philadelphia Flyers and its new home are part of the revitalization of downtown Allentown. New mascot MeLVin has already joined the ranks of FeFe and FeRROUS as a fan favorite. 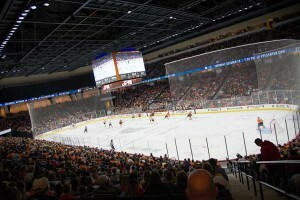 Seating 8,500 fans with plenty of concessions inside the arena, and the added bonuses of Chickie’s & Pete’s, Crust and Tim Hortons on the premise as well, PPL Center is home to more than just the Phantoms, including concerts, family shows, trade shows, figure skating, youth sports, and other sporting events. Also taking roost in the PPL Center are the Lehigh Valley Steelhawks who compete in the PIFL (Pro Indoor Football League). Between the 50-yard long field and the two men in motion before the snap, you may notice this isn&apos;t the NFL, it’s faster! And don&apos;t forget there are more things to do at a game than just watch football. There are plenty of on-field activities for fans to partake. Plus, you can meet the players after the game. The region also has sports that are known the world over. FC Lehigh Valley United Sonic plays at Whitehall High School, and fields both a men&apos;s and women&apos;s soccer team, all the while being competitive just one level down from MLS and NWSL. 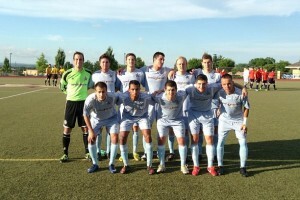 In fact, the men won the championship in 2012. A lot of the players are local stars too who can be found playing for local colleges in the fall. 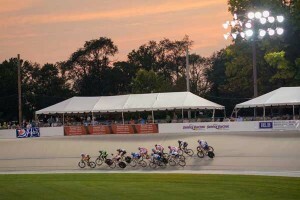 Within cycling, T-Town is known all over the world as a place where track cycling greats can race each other, propelling themselves to Olympic and world championship gold. T-town is short for Trexlertown, home to the Valley Preferred Cycling Center and an outdoor metric velodrome. Its Olympic energy and competitive spirit can be found here weekly every summer, so you don’t have to wait every four years for world class cycling. With racing throughout the summer on both Tuesday and Friday nights and the occasional National Championship hosted at the track every couple of years, it&apos;s a great time out for everyone. The Valley Preferred Cycling Center also offers youth programs from just getting on a bike to developmental programs for children and adults, too. During Friday nights in the fall, you will find the many local high school football fields full of crowds rooting for one of the many schools that make up the powerhouse Lehigh Valley Conference. This conference also feeds into local Patriot League stalwarts Lehigh University and Lafayette College. Both have won the Patriot League Championship 15 times since 1986, twice being co- champions with each other; something that only fuels the most-played rivalry in college football, not that these two rivals need any more fuel. The Patriot League isn&apos;t just football, the lacrosse is some of the best in the country and the basketball ... let&apos;s just say that Lehigh beat Duke in 2012. All sports and all seasons, from high school, to college, to the pros. If you are in Lehigh Valley, there is going to be a sport for you and your family to enjoy.